7ch Synched HDVideo, 20min, 2014. 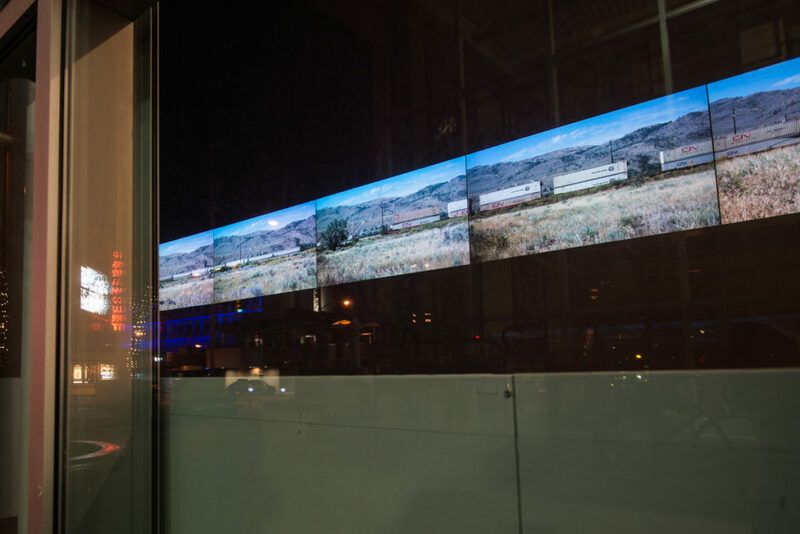 Khan Lee’s video Shunt focuses on the iconic image and sound of a freight train—a feature of the local landscape that is steeped in Canada’s growth as a nation and that resonates locally on many levels, as a key source of employment and a constant sign of the movement of goods. In relation to A Terrible Beauty: Edward Burtynsky in Dialogue with Emily Carr, Shuntcontributes to an ongoing dialogue about the sublime and industrialized landscape. 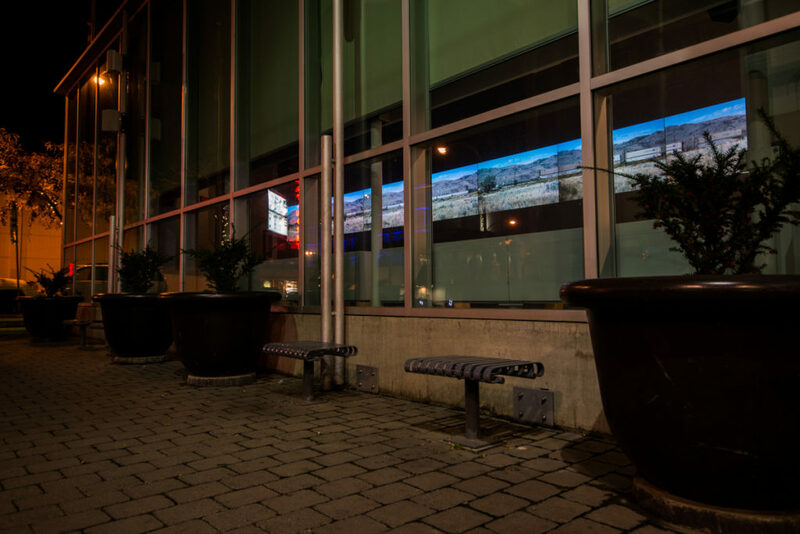 To be viewed and heard inside and outside the Gallery, the work was produced as part of Luminocity, a week-long public art project featuring video projection, new media works and events in public spaces throughout downtown Kamloops. Shunt captures the process of shunting or switching railway cars, identified by the particular ultra-stereoscopic sound it creates. In a routine, yet highly organized process, “rolling stock” is sorted into complete train sets throughout the day to ensure that goods are directed to specific destinations across North America. Although not typically seen unless you are positioned along the rail line, the sound of this shunting action is indelibly connected to Kamloops, a major junction of the two national rail lines, Canadian National and Canadian Pacific. Shunt plays with the notion of sound in relation to time, as the shunting action creates a cascading series of reactions from one car to the next, making this everyday auditory experience visual. The real-time video is then compressed into a condensed and constructed experience for the viewer. Requiring precision filming and editing, Shunt captures the movement of the railway cars through the use of seven cameras positioned 240 feet apart and 360 feet away from the train, showing a panoramic view of the seemingly endless lines of railway cars and their steady movement through the landscape. 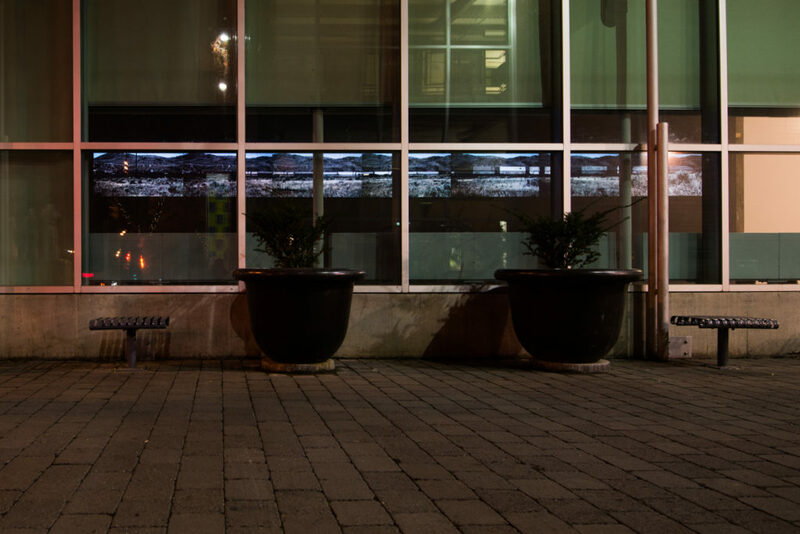 Lee has also selected works from the Kamloops Art Gallery’s permanent collection to coincide with his video work as a way of reflecting on this landscape and how it has been depicted by other artists.